Last year, I cancelled Christmas. It was our first Christmas in our new home, but my grandma had passed away a few weeks before and I wasn't in the mood to celebrate. This year, I wanted to make it a special season, so we got our first Christmas tree. I was taking it down over the weekend and really wanted to remember our first tree, so I decided to make a personalized Christmas ornament. If you are taking down your first tree, you might want to make this DIY our first Christmas tree ornament too. I should note that this is our first real Christmas tree. We had a fake tree every year before 2017. You need a real tree to make this one. It won't work with a fake one, for obvious reasons. 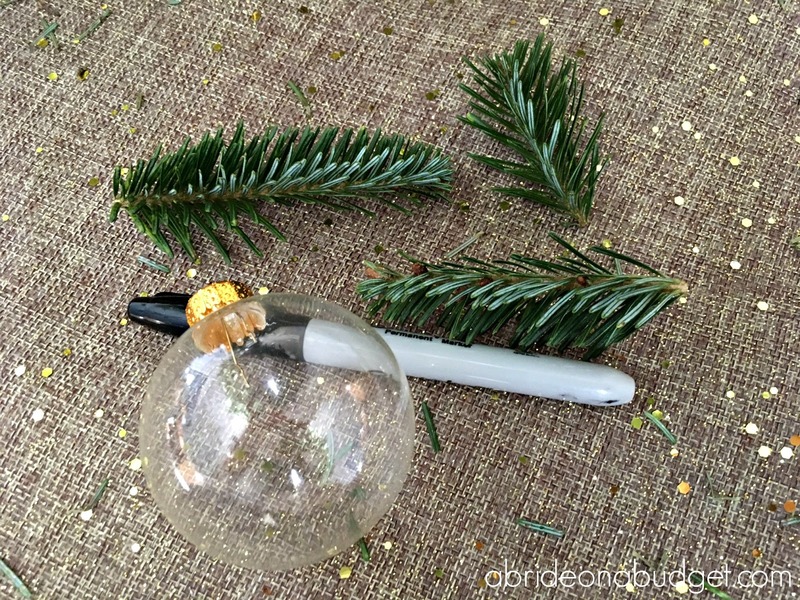 Clip off a few branches from your Christmas tree. Our bottom branches seemed a lot healthier than our top branches, so I would suggest using ones from the bottom. You aren't gonna use whole branches, rather one- to two-inch pieces of them. Set them aside. 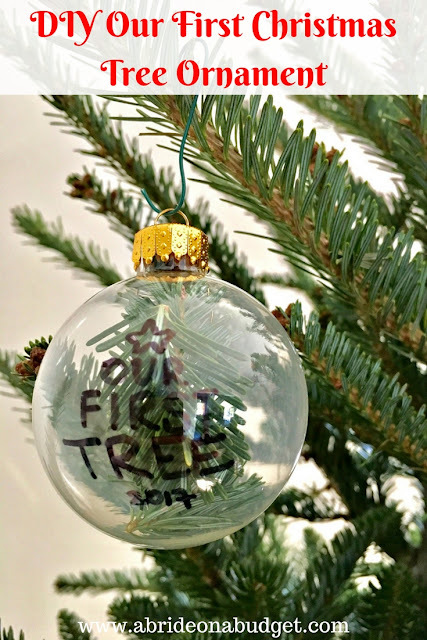 Using the permanent ink marker, write "OUR FIRST TREE" on three separate lines on the glass ornament, making sure each word is a little bigger than the word on top of it. You know, so it looks like a triangle -- or a Christmas tree. Draw a star (smaller than the word "our") on top. Write the year (smaller than the word "tree" so it looks like the tree trunk) on the bottom. Stuff your Christmas tree branches into the ornament. That's it. Now, just put it away until you can hang it on your tree next year. 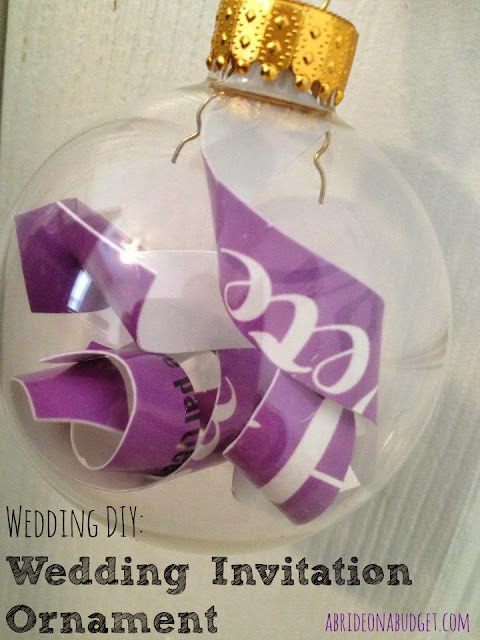 BRIDAL BABBLE: Would you make this DIY Our First Christmas Tree Ornament? 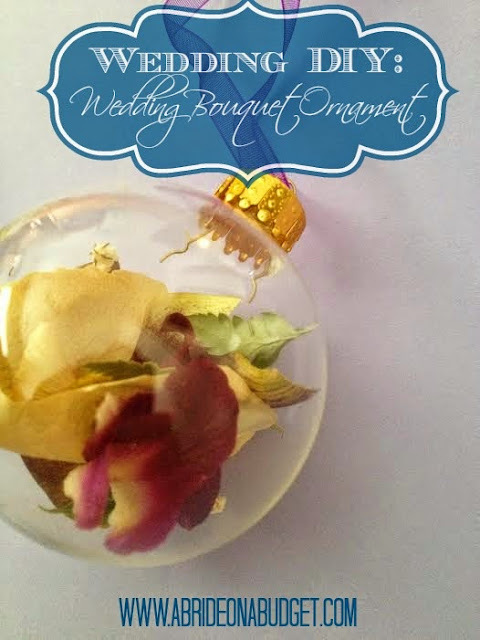 Want to make more personalized ornament? This is a really cute idea. I may make one this year! Would the tree clipping die and get brown in the ornament? Maybe it should be sprayed with something first to preserve it? And just use wire cutters if you have a fake tree. The fake tree clippings would last forever!